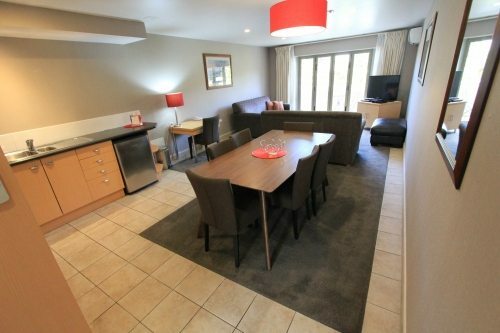 Voyager Apartments Taupo apartments are a 4.5 star rated alternative to traditional Hotel and Motel accommodation, offering guests a spacious fully self contained Apartment, with your choice of 1,2 or 3 Separate Bedrooms and a separate Living / Dining and Kitchen area, all for the price of a standard hotel or motel ROOM. 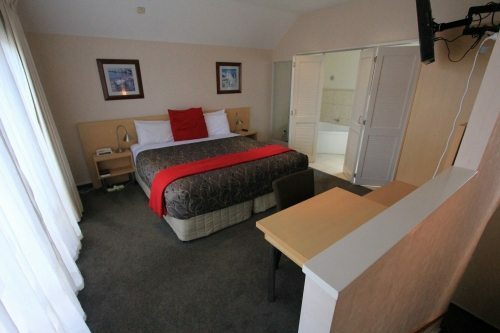 A 1 Bedroom apartment is ideal for couples and executive stays. 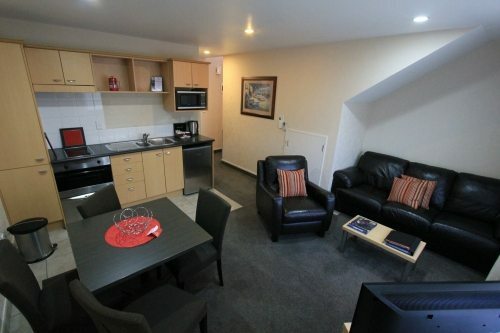 Apartment contains full kitchen facilities, full bathroom, King Sized beds, in-room laundry, SKY 50+ Channels TV, FREE Wifi Internet, DVD Player, Work Station, Spa Bath, TV, balcony and 1 Car park. A 2 level, 2 Bedroom Apartment with master suite upstairs and second bedroom, second bathroom, living , Dining and Kitchen on the ground floor . 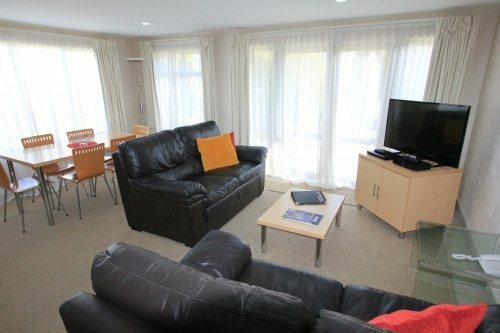 A modern spacious 120sqm 3 bedroom apartment Seperate ensuite with shower and spabath.Full kitchen with dishwasher,microwave,oven,full laundry in apartment.Heatpump/aircond SKY 50+ Channels TV, FREE WiFi broadband internet.